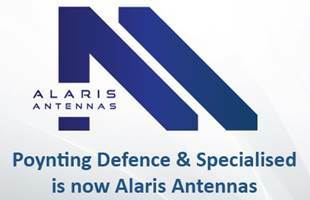 Two antennas in Alaris Antenna’s range include the OMNI-A0201 and the OMNI-A0221. These high-power, wideband, jamming antennas are designed for vehicle-mount applications and are rugged and hard-wearing in design. These antennas are highly effective for improvised explosive device (IED) suppression as well as communications jamming. The OMNI-A0201 operates from 100 to 6000 MHz in 4 bands. Band A covers 100 to 500 MHz, Bands B and C cover 850 to 960 MHz and 1700 to 2500 MHz and Band D covers 2000 to 6000 MHz. The radiators as well as the fibreglass whip are equipped with spring mounting to allow whip-action and resistance to impacts and obstructions. The OMNI-A0221 operates from 20 to 3000 MHz separated into 2 bands; Band A covers 20 to 180 MHz and Band B covers 500 to 3000 MHz. Band A can handle full rated power continuously at all frequencies, making it ideal for all 100% duty-cycle applications. The insulated radiator is robust, hard-wearing and impervious to fuel, oil and hydraulic fluid. These antennas are both designed to be directly mounted to ground platforms with the aid of a grounding strap.